"The Logical Data Warehouse: Leveraging Data Virtualization"
The Data Warehouse (DW) has been around some thirty years as essentially a repository forstoring corporate data. The effort to define, design, and implement new data sets in a data warehouse results in backlogs that are prohibitive to support the fast pace of today’s data needs. Most companies will continue to use their Data Warehouse as they move to the more agile approach, but they will rely on it mostly as a historical data repository for reporting and analytics. 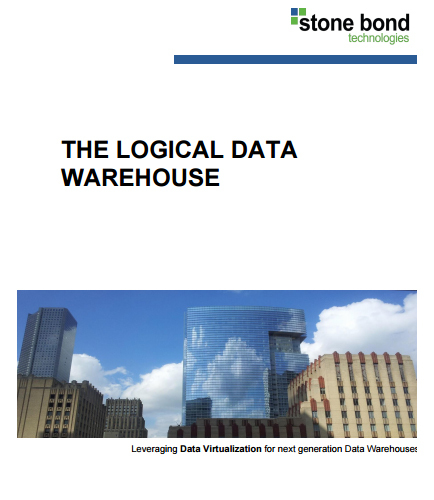 The Logical Data Warehouse (LDW) is a new data management architecture for analytics which combines the strengths of traditional repository warehouses with alternative data management and access strategy.